Among the polaroids seized from Giacomo Medici was one of a Roman statue of a youth. He appears to be holding a cockerel in his left hand. 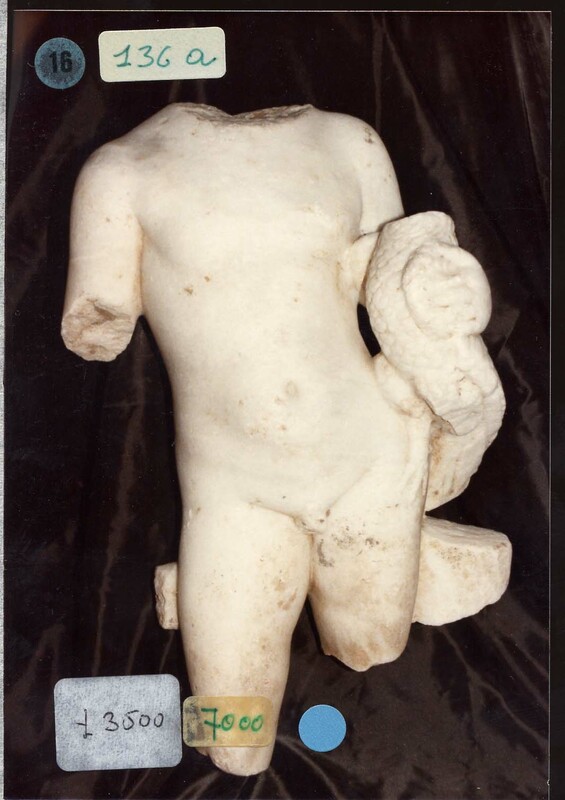 It seems to bear more than a passing resemblance to the Roman Youth due to be auctioned at Christie's New York in June 2010 (lot 139). The Christie's piece surfaced at Sotheby's London in 1992. Can we assume that Christie's will withdraw the lot if it does appear to have surfaced via Giacomo Medici? It should be noted that the Christie's entry has been updated to include its earlier collecting history. they truly think that excuse for "provenance" is enough to waylay conserns?! Amazing!